The importance of religion to Africans is well known among those who study and follow the continent. Of particular interest has been the explosive and relatively recent growth of Christianity there. For example, the conventional wisdom is that in 1900, Christians in what is now Nigeria were perhaps 2 percent of the population. Now, they are said to comprise roughly half of a population of over 200 million. (Nobody really knows how large Nigeria’s population is or what proportion of it is Christian, but this conventional wisdom is widely accepted by Nigerians themselves.) Explanations for Christianity’s success have included its association with the colonial masters and the modern world. 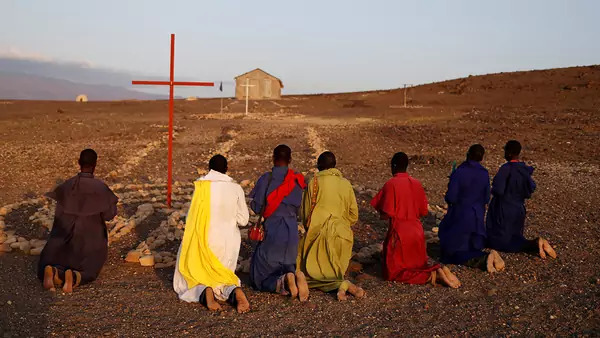 Others, perhaps derisively, have observed that Christianity in Africa is “a mile wide but an inch deep,” and that it has been compromised by the incorporation of heterodox elements from African religions. Dr. Lamin Sanneh, the celebrated scholar of Christianity and Islam who died on January 6, compared such explanations to a “caricature." Recent obituaries published in both the New York Times and the Washington Post celebrated his enormous scholarly contributions to religion in Africa. He emphasized the role of African missionaries as well as European ones in the spread of Christianity throughout the continent. For example, Bishop Samuel Ajayi Crowther, a missionary from Sierra Leone, not Europe, introduced the Anglican Church into Nigeria. Sanneh saw the success of Christianity in Africa as owing much to its “translatability.” Whereas Islam is associated with Arabic and Judaism with Hebrew, Christianity is associated with no particular language (at least since the Reformation). This enabled the translation of the Bible into African languages early on, which, according to Sanneh, rather than “compromising” Christianity, affirmed the dignity of local cultures. For Sanneh, the African experience did much to change Christianity from primarily a European to a global religious sensibility. Sanneh was born in the Gambia, his family was descended from Islamic royalty. Educated at British and American universities, he became a distinguished academic, teaching at Yale for more than thirty years and as editor at large for the Christian Century. He was appointed by two popes to Vatican committees.